AudiFlex Gold is one of our most popular cables, and an excellent analog audio cable choice for connecting any of your home audio components to home theater receivers, home theater amplifiers, preamps, distribution amplifiers, and TVs. 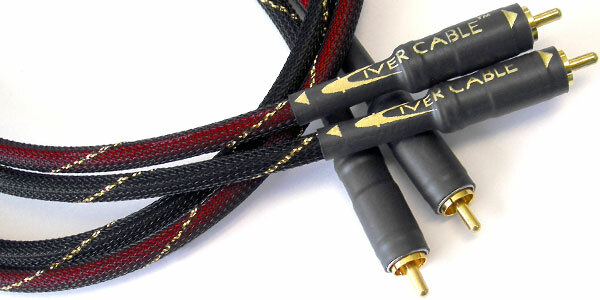 Ideal also for car audio interconnects, short patch cables, hi-fi transistor gear, and performance and even stage use. 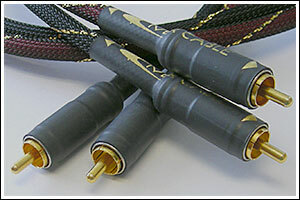 AudiFlex Gold cable pairs, with gold-tipped optimal RCA connectors, are hand made with silver bearing premium solder, right here in our Hudson River Valley Guild Shop. These paired cables are matched, L/R channel, and are non-directional. Shield: >92% Bare Copper High Density Braid and Carbon Sleeve. Conductor DC Resistance: <5.6 ohms/1000 ft.